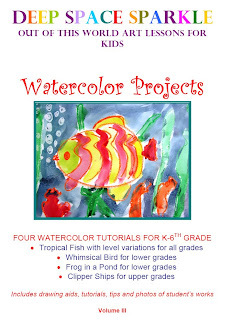 Tired of teaching the same watercolor lessons? Wonder how to get the best work out of your students? My four lessons begin with the most important aspect of any watercolor painting: the drawing. 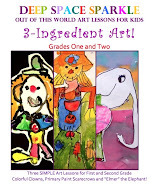 The step-by-step drawing lessons and tips will have each child exclaiming "I can't believe I did this!" Tweet! Tweet! An adorable bird for lower grades. All lessons come with a supply list, how-to-draw instructional handouts that you can photocopy for your student, plus actual photos of student works! The PDF is designed to be printed out or you can read it directly from your computer screen. 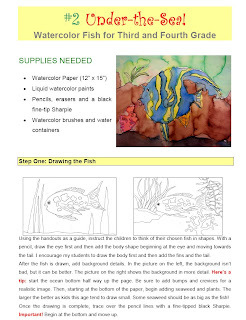 The lesson plan features four of my most popular watercolor lessons. Each lesson can be adapted for different grade levels. ALL PDF'S ARE DOWNLOAD ONLY. THEY WILL NOT BE EMAILED OR MAILED. I purchased this unit and I just wanted to let you know that I'm thrilled with it! 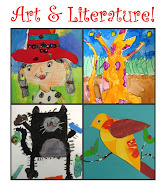 I can't wait to try some of the projects with my classes next year. I really appreciate your site and check it often!